After Coal producer Pat Beaver reflects on her recent return to China while on a production trip to Wales in June, 2013. In May of 2013 I had the opportunity to travel to Shenyang, China, to talk about After Coal. 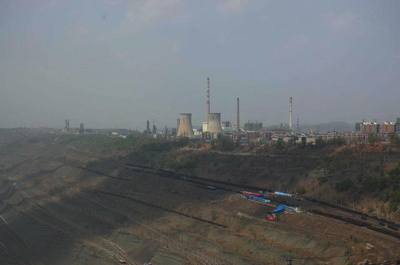 Shenyang is in Liaoning Province, in the northeast, and is a major coal mining area of China. My family and I lived in China in 1983-1984 and again in 1990-1991. This was my first return to experience the radical changes in China in the past decades. In 1983 China was dismantling the communes and economic reform was an idea. Many of Shenyang’s three million residents cooked and kept warm with small stoves fueled by pressed coal briquettes, not unlike previous decades in Wales and in Appalachia. Early mornings saw millions of bicyclists making their way to work, their faces shielded with cotton masks against the coal smoke which hung heavily over the city. Automobiles were company-owned and rare, although that year saw the first private car purchased in China. Motorcycles and hit-and-miss truck engines added a level of cacophony to the compelling sounds of bicycle bells. I was teaching at Northeast University of Technology; my students had been selected to attend NEUT to be trained as engineers for the mining industry. Returning to China last month I was astonished by Shenyang’s modernity, as high rise apartment buildings, skyscrapers, billboards advertising the latest fashions and glittering shopping malls dominated the landscape. Yet modernity mingled with shadows of the recent past, with dimly lit night markets selling modern fashions alongside live fish, fruits and vegetables, and backstreet vendors selling dumplings steamed over gas-fired street burners. Shenyang is powered by electricity, like Appalachia and Wales, generated from-coal fired plants. Shenyang’s streets are clogged with privately owned cars and motorcycles competing for lanes with trucks, buses, and a small number of brave bicyclists. High speed trains, four lane highways, and air transportation connect city to city. China’s expanding wealth is evident along the streets and in the classrooms. While the early morning pall of coal smoke has disappeared, the air is visible in the haze which caps the city and the region. In Shenyang I talked about After Coal: Welsh and Appalachian Mining Communities to faculty and students studying engineering and English. I concluded by mentioning the article I had just read in the New York Times declaring that the level of CO2 in the earth’ s atmosphere had reached 400%, the highest percentage since we have become human. As I talked about the declining coal production in Appalachia and Wales, I asked: What happens to communities when coal mines close? How can communities rebuild, or regenerate, after they lose their major industry? Is there a sustainable future for former coal communities? I noted that coal production in Appalachia is declining because of the cost of mining the remaining coal, the availability of coal in the western US, and the increasing production of natural gas. Still, the top producers of coal in the world are China and the United States. The top consumers of coal in the world are China and the US. The greatest coal reserves are in the United States, Russia, and China. What is the impact on climate change of this industry? What does globalization mean for the future: for people, for the planet? We had a good discussion about coal, our energy future, and community. In the audience was a university dean who talked about being a young girl when coal was burned by every household, about going out to play wearing a cotton mask, and coming in with two black circles from breathing the coal air. 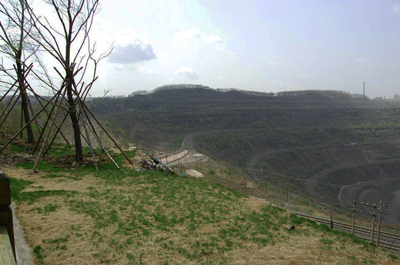 The story of Appalachia and of Wales is relevant to Shenyang and to Liaoning Province because of coal mining in Fushun, location of the largest open pit mine in China, and Fuxi, where the mines have closed, with dramatic loss of jobs, loss of businesses, as people move away seeking work, and an uncertain future. I also learned that engineering students in this region are looking at clean coal technologies, not alternatives to coal. China is making choices about its energy sources, and is pursuing development on a massive scale. Our futures, in Appalachia and in Wales, are linked to those decisions.